Be the first to hear about their new releases and deals. Download the Booksprout app and search for Naomi E Lloyd today! Naomi E Lloyd is the author of the Tandro series, a fantasy time travel romance series that transports readers to another time and place. Naomi is a passionate reader and has an avid interest in sci-fi/fantasy stories, love journeys, and diamonds! Her diamond world is an internationally connected one. She works as a photographer, a diamond philosopher, and a charitable ambassador for YouCanFree.Us, which focuses on rescuing trafficked women. As part of her charity, photography, and research work, Naomi has been lucky enough to travel around the world, meeting and interviewing fellow like-minded scientists and romantics of the world. Naomi’s diamond passion is about connection—the journeys that shape rather than break us—although her characters do face extremely tumultuous experiences along the way! It is their resilience and determination that makes their journeys so transformative. Naomi has woven in her diamond philosophy—along with her romantic imagination—to combine her passion for time travel, parallel worlds, and love stories into an unforgettable journey across time and space. Although born in Yorkshire and a northern girl at heart, Naomi now lives by the historical beaches of Portsmouth, where she can often be found in a café, tapping away on her laptop or walking along the sunny promenade with her camera in hand. 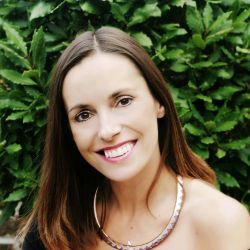 Find out more about Naomi E Lloyd at www.naomielloyd.com, where you can sign up to join her reader community and gain access to her exclusive Diamond Energy Cave on her website, where fun quizzes, character profiles, and treasure hunts are waiting to be explored.